Photo illustration: Jim Cooke. Photos via Getty/Shutterstock. Donald Trump Jr., an avid hunter and even more avid hunting message board user, will officially be taking over the family business come inauguration day. This means that there’s absolutely no world in which Don Jr. should be meddling in his father’s pending presidency whatsoever. Except, apparently, for the world in which he really, really wants to. You know, this one. Yesterday, Politico wrote that “the president elect’s eldest son, was involved with the interview process for Interior secretary, according to sources familiar with the discussions. He sat in on interviews, and made calls to candidates, according to sources familiar with the process.” When it came down to Montana-bred Rep. Ryan Zinke and Rep. Cathy McMorris Rodgers of Washington, and despite a severe dearth of women in Trump’s cabinet, the eldest Trump scion had to go with his newfound hunting buddy. Mr. Zinke, Montana’s sole House member and a member of the House Natural Resources Committee, resigned as a delegate to the GOP’s convention this past summer because its platform calls for a transfer of federally owned wilderness lands to the states. That is a position favored by most Republicans, including Ms. McMorris Rodgers, but the president-elect and his son, an avid hunter, oppose it. The younger Mr. Trump has a longtime interest in preserving wilderness areas for hunting and fishing, and Mr. Zinke’s own opposition to selling off federal lands stems from his concern that it would mean less access to public lands for outdoor sports. This dynamic helps explain why the president-elect settled on a relatively little-known figure for his interior pick, unlike his choices for most other high-profile posts. On the other hand, Donald Trump says it’s fine. And what reason could he possibly have to lie. 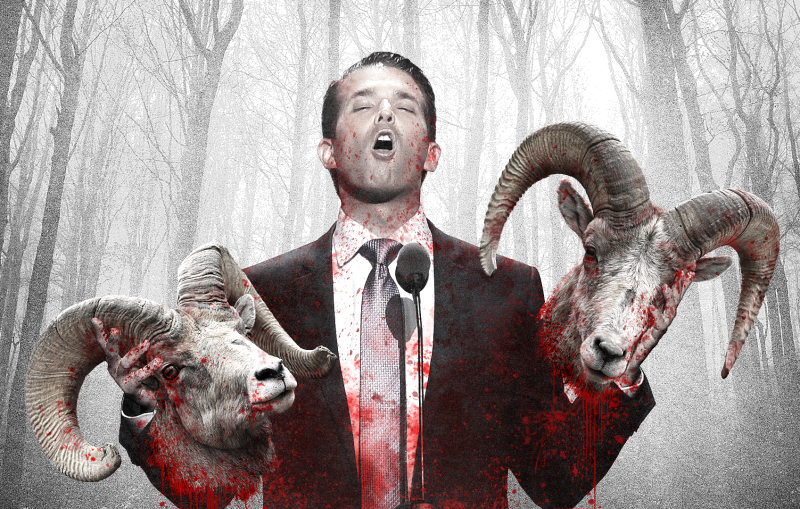 That Idiot On Your Hunting Message Board Might Be Donald Trump Jr.